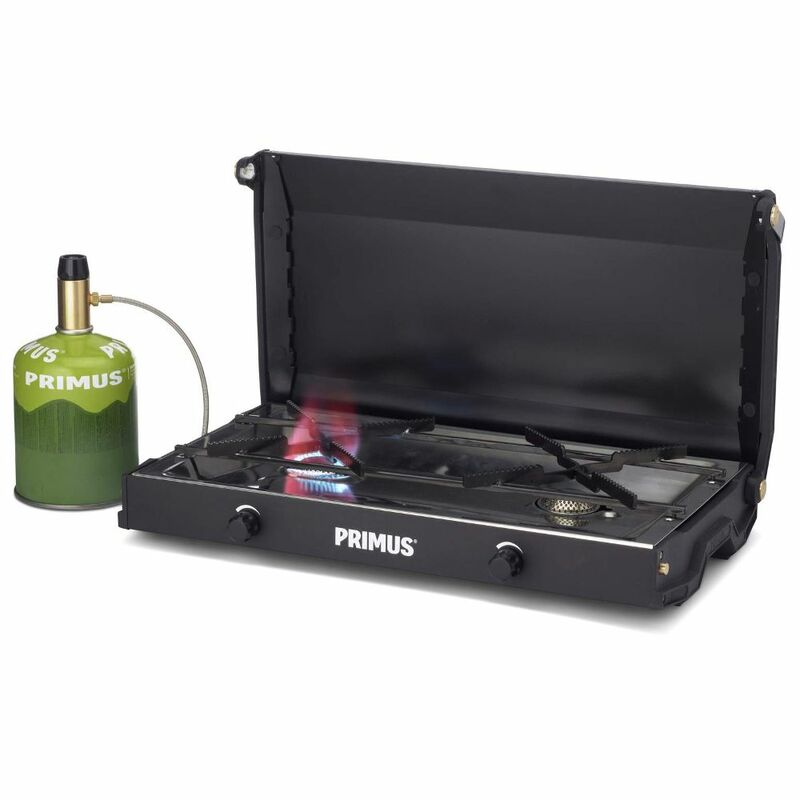 The Primus Kinjia Stove is a sleek and efficient two-burner stove with a powerful 3000W output per burner and is powered by smaller backpacking gas canisters. 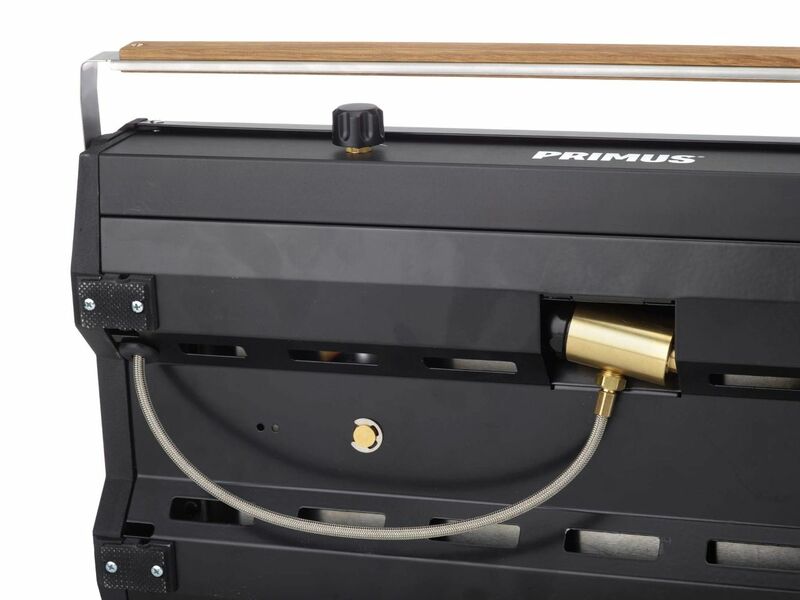 Each of the burners has an exact simmer control dial for different cooking requirements and a removable drip tray and grill for easy cleaning after use. 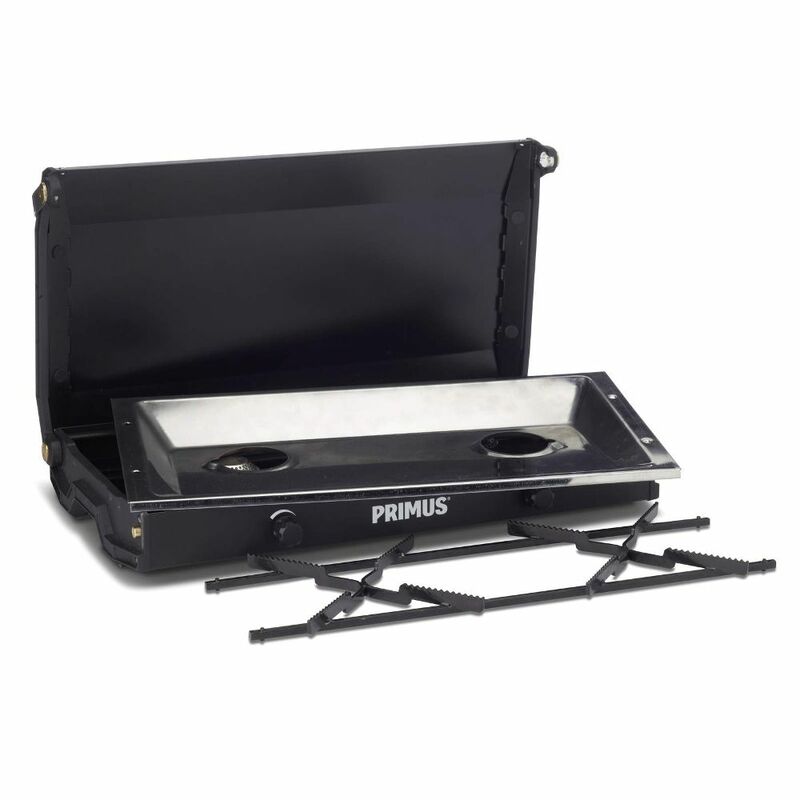 The Kinjia has a durable steel construction and can sit directly on a table for sturdy cooking performance around the camp. 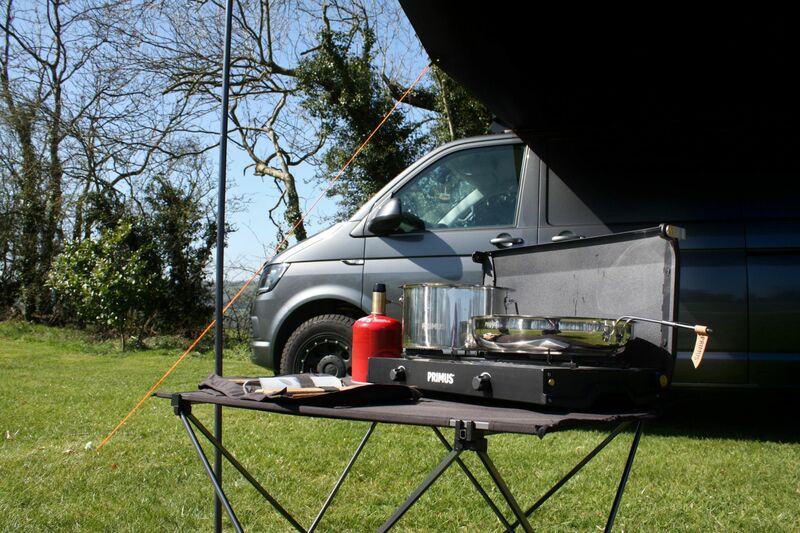 Using a single compact 230g gas cartridge this stove can provide up to 47 minutes of cooking time and boil a litre of water in 4.20 minutes. 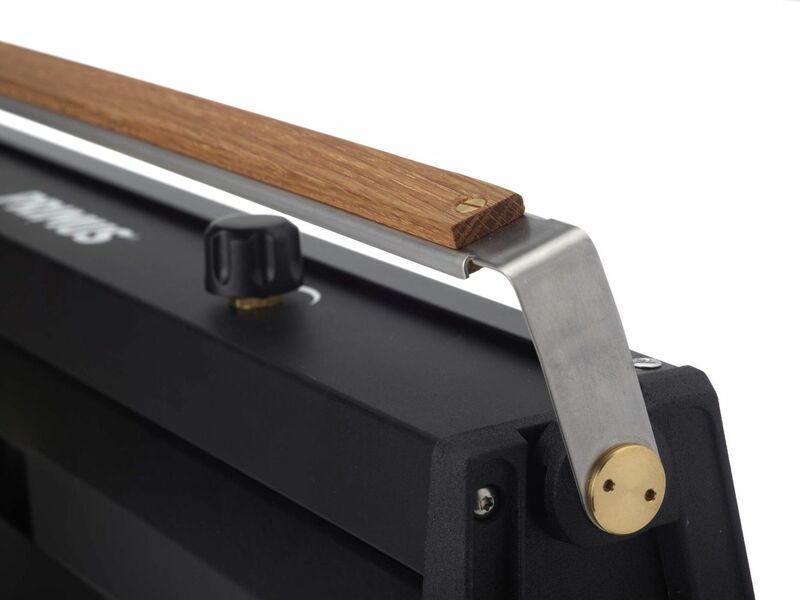 With its slim design the Kinjia is easy to store in the back of the camper and has a lock and handle to keep secure during transport.